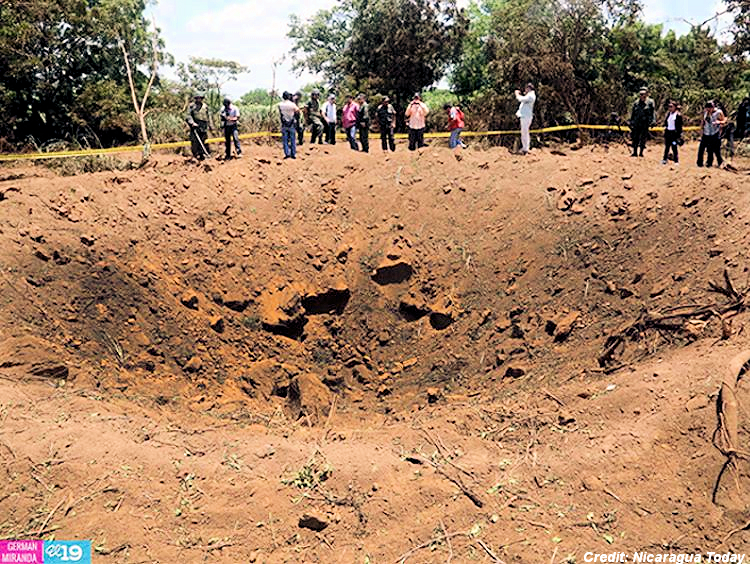 Nicaraguan officials say a meteorite gouged out a crater near the nation's capital city over the weekend, but scientists aren't so sure. . . .
. . . Some Managua residents reported hearing a loud boom on Saturday, which would be consistent with a meteorite impact. But other details warrant a healthy dose of skepticism, said Bill Cooke, head of the Meteoroid Environment Office at NASA's Marshall Space Flight Center in Huntsville, Alabama. "Something that produced a crater this big should have also produced an incredibly bright fireball in the night sky," Cooke said. "And no one reports a fireball, even though it was near midnight under scattered clouds." Further, Managua is a big city, with lots of potential witnesses to such a night-sky sight. People saw a bright fireball the last time Cooke can recall a meteorite blasting out a crater on Earth, in September 2007 near the Peruvian village of Carancas — and that impact occurred in broad daylight. A meteorite strike would also likely leave blackened fragments of the impacting body behind as evidence, both Cooke and meteor expert Peter Jenniskens said. "If this crater has anything to do with a meteoroid impact, I would expect meteorites to be found in and around the crater," Jenniskens, of the Search for Extraterrestrial Intelligence (SETI) Institute in Mountain View, California, told Space.com via email. 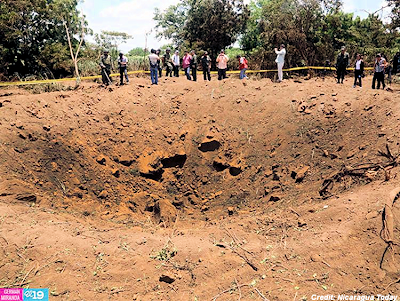 No such pieces have been reported, and none are visible in photos of the crater, Cooke said. . . .